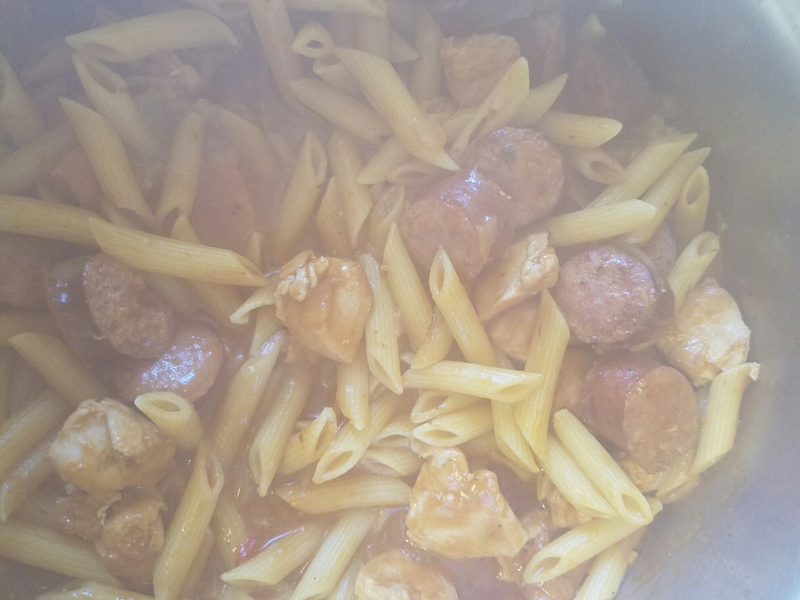 A classic Jambalaya dish made with Pasta. You can substitute any kind of pasta or meat. I learned to Cook from my Mom (whose not much on measurements) so here the Lisa way and an actual recipe. It’s quick and Easy –so enjoy. Cut chicken and sausage into bite size pieces- Brown. Take out meat –put in Trinity –cook until soft, Add back meat and remaining ingredients. Simmer about 30 minutes. Add water till liquid is double –and Add pasta (used Pena) – Cook until Pasta is tender. In a heavy pot that is NOT nonstick (I use Magnalite) brown sausage. After sausage is browned, remove from pot and add onions and bell pepper. Cook on medium-high heat in fat rendered from sausage (add butter or olive oil if needed) until wilted; about 5 minutes. Add garlic and cook a few more minutes. 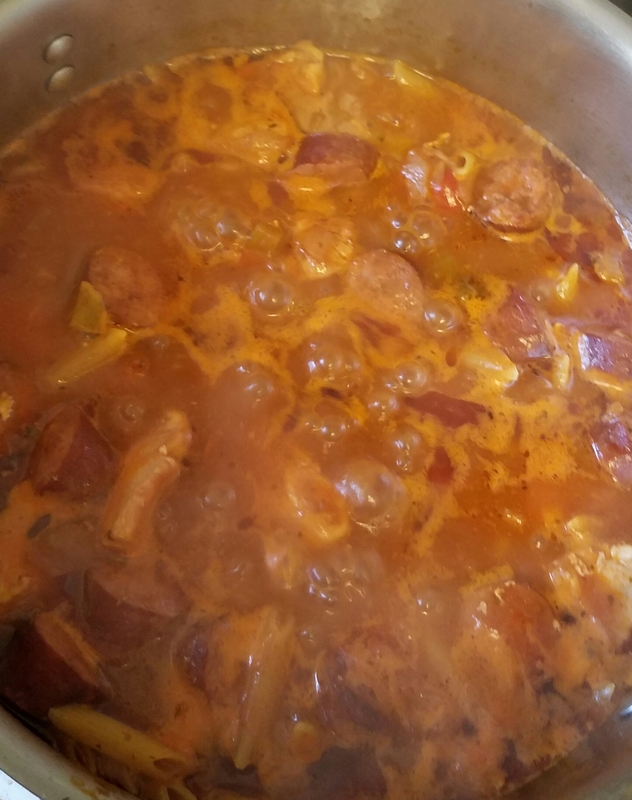 Add sausage back to pot along with chicken or which ever protein you choose, except if using shrimp). Add all remaining ingredients except green onions and bring to a boil, stirring occasionally to make sure it doesn’t stick to bottom. Reduce heat, cover, simmer for about 25 minutes, until pasta is tender and most of the liquid has been absorbed. If using shrimp, add it at this point.